The ProScale ProFreight 332 is a heavy-duty high-capacity digital scale that’s excellent for shipping, receiving, spot checking and more. The ProFreight’s bright backlit LCD display and controls have an extra-long cord that is great for easy mounting & positioning. 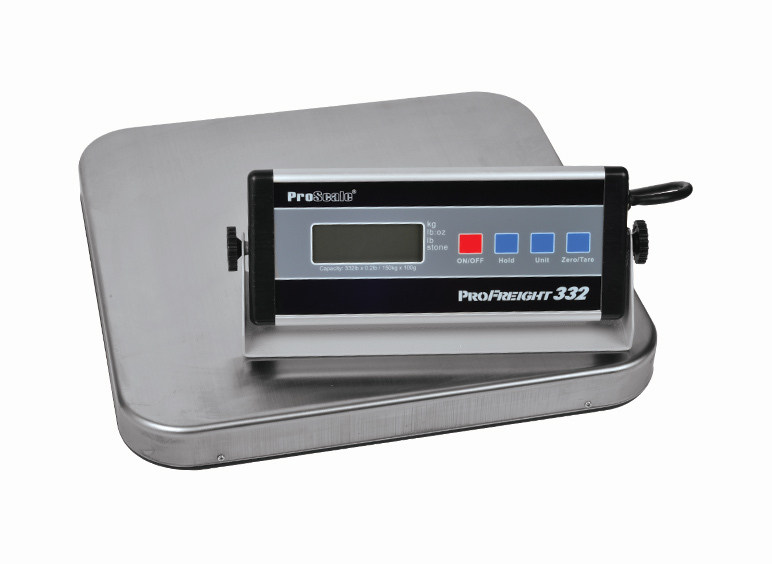 The ProScale ProFreight 332 also features a large stainless steel weighing platform and extra-durable construction for commercial applications.